Taoism is a religion that originated in China approximately 2000 years ago. Taoism preaches the life lead in Tao, which is commonly translated as the Way. However, it is believes that Tao encompasses more that that. Tao may also be translated as "path" or "principle." The concept of Tao is present in many Chinese philosophies and religions. However, in Taoism, Tao is the force and source behind everything that exists in the universe. It is the ultimate creative principle of the universe, and according to Tao, everything is connected and unified. Tao is not God; it is an energy or force. Taoism has many deities that are worshipped in Taoist temples. Taoism is a religion of unity and opposites. It has borrowed from the principle of Yin Yang, as well as from the writings of Zhuangzi. It preaches the importance of complementary forces, such as light and dark, action and non-action, etc. There are many different schools of practice in Taoism, but all emphasize wu-wei. Wu-wei is the practice of going along with the true nature of the world, which is the Tao. It places importance of not obstructing the Tao and letting things take their natural course. Hence, wu-wei is often described as ‘action through non-action’. Taoism also placed importance on "naturalness", simplicity, spontaneity, and the Three Treasures, which are compassion, moderation, and humility. 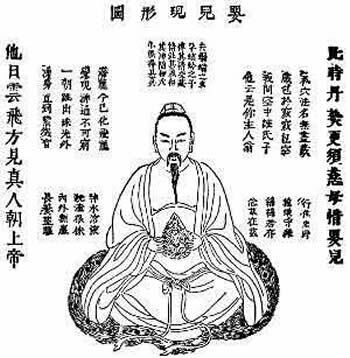 Today, Taoism is one of the five religions that are officially recognized in China. Taoism is such an important religion that is has also traveled outside of China. It now has sizable communities in Hong Kong, Taiwan, Japan and in Southeast Asia. Taoism is also often transcribed as Daoism, while Tao is transcribed as Dao. This is done as Dao is a more accurate way of representing the sound of the Chinese word in English.